This post about how to avoid knee pain while hiking was sponsored by DePuy Synthes as part of an Influencer Activation for Influence Central, however, all opinions expressed in my post are my own. Many years ago, during my college days in New Hampshire, I joined the university outing club. 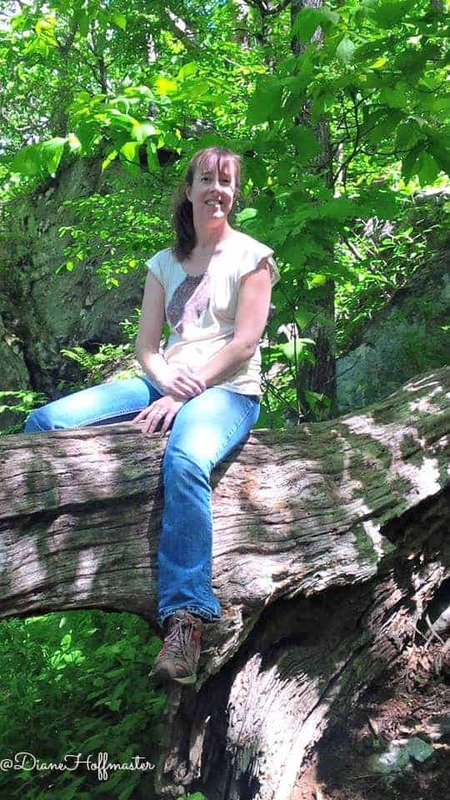 Basically, it was a group of outdoor enthusiasts who got together several times a year to plan backwoods adventures and explore the nearby White Mountains. From cross country skiing to back country camping, I learned a lot about nature during those trips. I also learned a lot about my own physical and emotional limitations. I learned that I love cross country skiing but I am terrified of the high speeds involved in downhill skiing. I learned that bears snuffling around outside my tent scare the daylights out of me, even if I am in a tent with 5 other people. I also learned that while uphill hiking is physically challenging, hiking DOWN the hills is really hard on my knees. After a 7 mile downhill hike out of the mountains when I was 20, I was left with a new appreciation for nature and a knee that still bothers me to this day. If you are wondering how to avoid knee pain during your own hikes, I have learned a few lessons since my college days that might help. Keep reading for a few hiking tips as well as information to help find a physician in your area who can talk to you about potential solutions for your hip or knee pain. 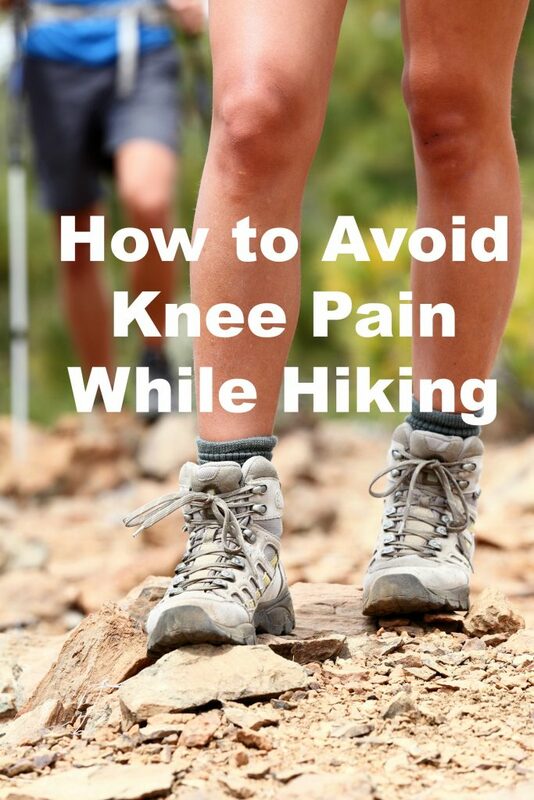 Knee pain after hiking can ruin your enjoyment of the outdoors and it shouldn’t! So, is hiking bad for your knees? Well, sortof. There is actually a phrase called ‘hiker’s knee’ so you know it is a problem that a lot of people suffer from. Knee Pain is a common symptom in hikers, runners, skiers, and cyclists.One of the most common types is pain around or behind the kneecaps, which is often diagnosed as Chondromalacia, Patellofemoral Stress Syndrome, or more commonly “runner’s knee.” … In younger hikers, the pain is often caused by trauma or overuse. Your leg muscles tie in directly to your knees. 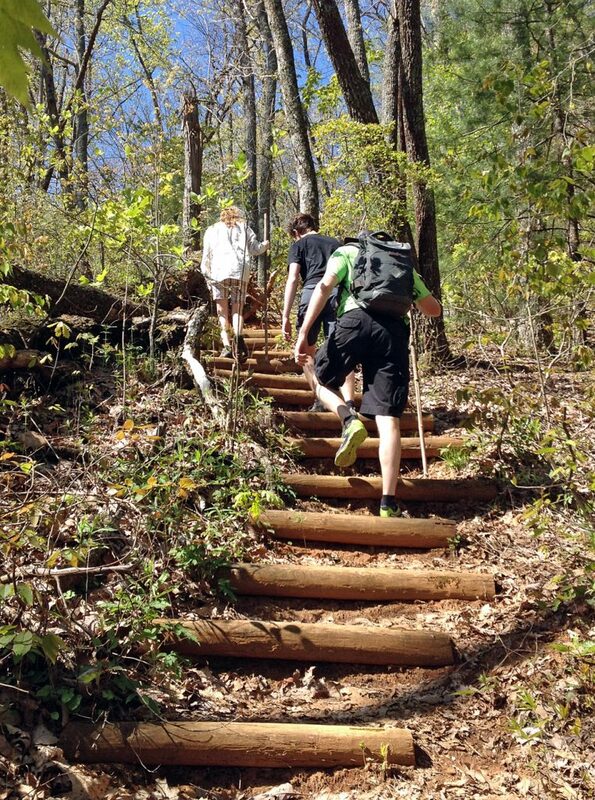 Strengthening those leg muscles will go a long way towards helping reduce knee pain while hiking. Hiking sticks help protect you from tripping and they also help take a little bit of weight off your knees as you hike. You can invest in expensive hiking poles or just find a sturdy, shoulder high stick when you set off on the trail. I know you don’t want to admit you are getting old but I know for a fact I am not in as good of shape now in my 40’s as I was in my 20’s. While I could easily manage a 7-mile hike in college, my husband and I have dropped our maximum hike distance down to about 5 miles and even then I am hurting a bit the next day. You don’t have to wrap your knee before you start hiking, but take along a couple of knee bandages just in case you need them later. You can get a simple wrap or a complicated brace, depending on how bad your knee issues are. Downhill is harder on knees than uphill since you are really pounding your entire weight on them over and over again. Go slow to avoid excess strain and potential falls. If you are wondering how to avoid knee pain in particularly steep areas, definitely side step down very difficult areas. This is a technique I use all the time when we hike Stone Mountain, which we do several times a year. You reduce knee strain and also protect against sliding down the mountain! I know, you think you are a spring chicken and are going to leap off those small dropoffs, right? Really, don’t do that. Turn around and go feet first with your belly facing the trail. Yes, it gets you a bit dirtier but seriously, you will thank me for it! The more weight you are carrying, the more strain you put on your knees. If you are overweight, considering losing a few pounds for improved health. If you are carrying a pack full of supplies, re-evaluate the items you choose to carry. Sturdy hiking shoes will provide more ankle support than cheap sneakers. More ankle support also means less strain on your knees. 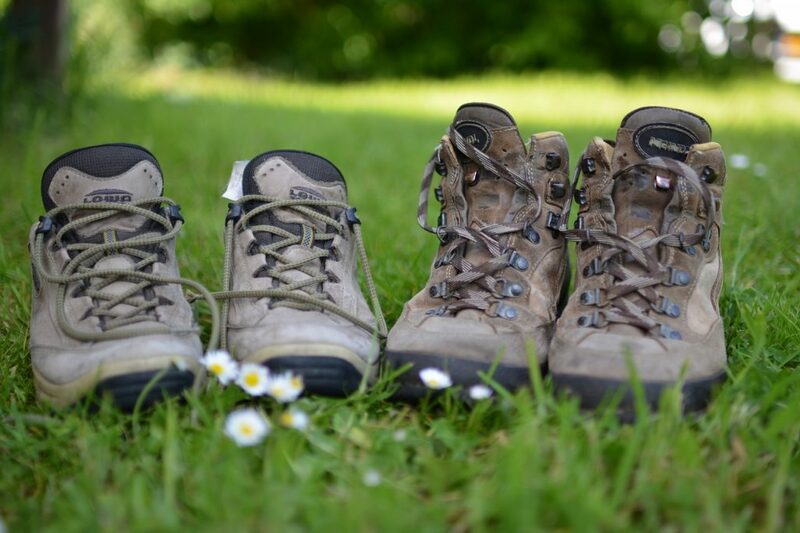 Invest in good hiking shoes before you head off on your hike and make sure they are laced properly. What you eat definitely affects the health of your joints. Add Omega-3 fatty acids for increased joint lubrication. Increase your consumption of anti-inflammatory foods like turmeric and ginger. Take a supplement containing glucosamine and chondroitin for added joint health. Proper stretching is key when learning how to avoid knee pain. Stretch before you hit the trail and then stretch your quadriceps again after a long hike. Learning how to prevent chronic knee pain will ensure that you continue to enjoy the great outdoors long past middle age. Of course, sometimes, you just end up with knee pain no matter how many preventative measure you take. If you are prone to knee pain, consider bringing along some ibuprofen just in case you are really hurting. You should also ice down your knees once you get home to reduce pain and inflammation. If you are on a long hiking trip, consider soaking your legs in a cold stream if possible during your journey. Of course, if you are really experiencing chronic knee pain, consider finding a doctor that can offer possible medical solutions. Is Joint Pain Interfering in Your Life? Suffering from knee pain sometimes requires that you put your life on pause. That means you may miss out on fun times with your family and friends because you are in pain. Even if it isn’t skipping the next long hike, you may end up missing some daily activities because knee pain is getting in the way. That after-dinner walk with your husband or field trip with your child is a special moment that you shouldn’t have to miss. Do you find yourself saying “I’ll just sit this one out” or, “I’ll catch up with everyone later.”? Ask yourself how often joint pain is actually impacting your life and then do something about it. Don’t spend your life on the sidelines. “Hit Play” on your life and rejoin your family and friends in the things you love. Find a physician in your area who can talk to you about potential solutions for your hip or knee pain. Find out more at TimeToHitPlay.com. Do you have any other tips on how to avoid knee pain that I missed? Weight definitely can impact your knee pain. That's a great tip for anyone! thanks so much for sharing and glad you found it helpful. Side stepping makes steep downhills much easier. The really steep downhills freak me out a bit psychologically. It is really intimidating to stare down a steep mountain path!